University of Guam President Robert Underwood last week gave a powerful message to Chamorros on how to create a community of speakers. 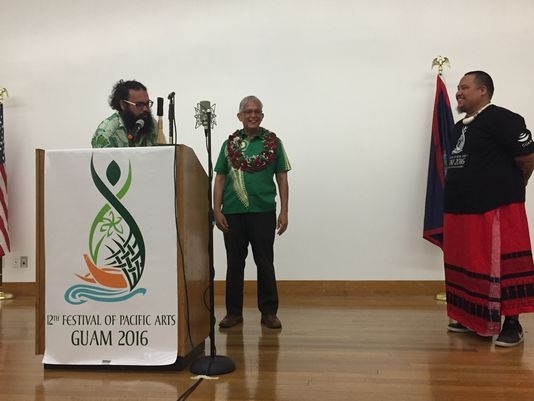 Underwood was a keynote speaker for the Festival of Pacific Arts Indigenous Language Conference held at the university. “You can’t Hafa Adai yourself to a Chamorro speaking community,” he said. Knowing just a few words in Chamorro, Underwood said, isn’t going to create a community that speaks Chamorro, nor is “imagining” it will happen 50 years later — referencing the governor’s Imagine Guam initiative, a plan developed by community members that outlines where the island should be in half a century. Chamorros must learn and speak the language now for the language to strive, Underwood said. United Nations Educational, Scientific and Cultural Organization, or UNESCO, has included Chamorro on its list of languages in danger of extinction. Underwood said it’s “absolutely” possible for Chamorros to pick up the language, even if they are older. It just takes effort to do it, he said. The university president said when he was growing up, he would hear Chamorro spoken on the streets, and everywhere it was common. Today it isn’t so, Underwood said. “It’s sad what’s happening,” he said. Underwood has been an advocate for the Chamorro language for many years. He said he was surprised when he came back to Guam after living in the states for some years and discovered he knew the language better than some of his peers. He was able to use Chamorro despite being out in the states because his mother would pretend to not speak English when salespeople came to their home. He said it was a game he and his mom played and it helped him learn a lot of Chamorro. Much of the loss can be attributed to Chamorros thinking that English would help them succeed in life, he said. It’s important to understand Chamorro language in the context of historical development, Underwood said. For example, the Chamorro word for avocado, alageta, comes from the old American term alligator pears. “It’s a wonderful story,” he said. He said the conference was important, not so much to rediscover who islanders are, but to know that everyone has a certain set of historical experiences. 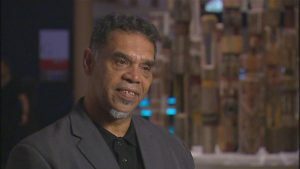 Paul Paton, from First Languages Australia, who also attended Friday’s conference, said his organization is helping keep indigenous languages alive in the country. 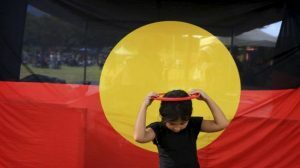 Australia is home to many endangered languages and the group’s hope is to help them revive and thrive, he said. They have more than 20 language centers and have great support from the government, he said.